Successfully Added Reindeer Desktop Ornament - USB Multi-Color Fun to your Shopping Cart. 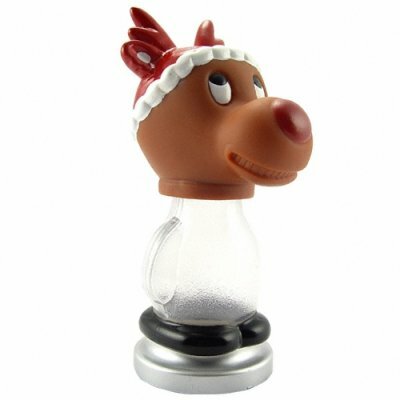 Rudolph the red nosed reindeer desktop ornament, a great way to share the holiday spirit and joy. Place this lovable character on your desk, reception counter or table to liven up the holiday season. Reindeer cycles through three bright, vivid colors (red, green and blue) at the perfect speed; fast enough to be interesting, slow enough to enjoy time and time again. All that is needed is a simple USB port to plug into and Rudolph instantly starts sharing his warmth. Companions Frosty and Santa also available to add to the fun!